A retinal detachment is a medical emergency that requires prompt care to save your vision. 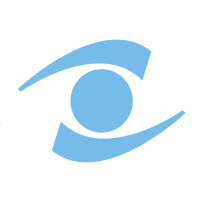 The expert team at Rocky Mountain Eye Center, with locations in Missoula, Hamilton, and Butte, Montana, includes highly-skilled surgeons who specialize in retinal repair. If you experience abrupt vision loss or other signs of a retinal detachment, contact the office immediately. Note that surgeries are performed at the state-of-the-art Rocky Mountain Eye Surgery Center in Missoula. The retina is a thin layer of light-sensitive tissue at the back of your eye that transmits information to your optic nerve. Your brain uses these nerve impulses to create visual images of the sights you see. A retinal detachment occurs when the retina pulls away from its normal positioning. This separates the retina from the blood vessels that supply it with oxygen and nourishment. The longer the retina remains detached, the greater your risk of permanent vision loss. Are There Different Types of Retinal Detachment? Surgery is required to repair a detached retina. There are different surgical approaches available, and your surgeon will discuss your options, treatment expectations, and the recovery process before scheduling your procedure. Can You Prevent Retinal Detachment? Probably the best thing you can do for your eye health and to possibly prevent retinal detachment is to schedule comprehensive eye exams as part of your routine wellness efforts. Your eye doctor can identify even small changes on an exam that may signal an evolving issue and take steps to treat the condition before it causes major issues. Schedule your visit today at Rocky Mountain Eye Center.